Marketing Principles How has the marketing mix changed? How has the marketing mix changed? Marketers used to talk about the 4P’s. Are they still relevant or have we moved on from there? Grant Leboff: One of the things that you talk about in the book is how the marketing mix has changed and developed. So perhaps you can explain that a bit more for us? Simon Hall: What we’ve seen in the past, was marketed and used to focus on something called the four P’s, which is Product, Place, Price and Promotion. What’s happened in the last 20 years is that there’s been a shift far away from what we call ‘business centric’ and ‘product centric’ type marketing to more ‘customer centric’. So the new four or five C’s, depending on what you look at, are Costs, Communication Channel and Customer solutions. These are basically, instead of the original four P’s,. Additional to that you could look at Community which includes using social media as well as even partners and partnerships. Grant Leboff: So, if we talk about the four P’s back in the sixties where we were traditionally looking at product and business centric and now we’ve moved to a much more customer centric and customer focused environment. What do you think has driven that? Simon Hall: I think a number of things. I think the fact that we can actually be more customer centric because of digital media, digital applications and digital marketing. Customers expect it as well, there are higher expectations on companies to be more tailored to what they need in whatever they’re doing, across those four or five Ps. So I think there’s an element of those things as well, with the fact that information has grown incredibly large over the last decades. What we’ve seen also is that a company, to find a better way to actually engage the customer or target the customer better. Hence being more specific in more tailored and specific in your, a four or five Cs is going to be key for any marketer. Grant Leboff: So how does that translate on the ground? Because obviously the idea of the four Ps in the marketing mix and then the five C’s in the marketing mix is still academic. I mean, we use it, but it’s academics. So how tangibly have you seen those five C’s then be delivered by businesses, maybe businesses that you work with or have seen..
Simon Hall: So tangibly the things that I’ve actually lived and breathed when I was at Dell, managing the team for the UK, also working with companies in my remit today that I work with… let me give you an example; one of the things we look at is we don’t talk about product anymore. People will revert to product models and theories because they’re just easier, but in reality, we talk about real solutions, really integrating all the different elements of the solution. How do we actually talk better all round value propositions? How do we define a customer needs through buyer personas much better than ever before and surprising enough, almost 50 to 60 percent of companies I talk to, haven’t thought about buyer personas or value propositions, which is kind of surprising. You think they would be fundamental to marketing today? Simon Hall is a marketing innovator with over 20 years’ experience in Technology and Services Marketing. 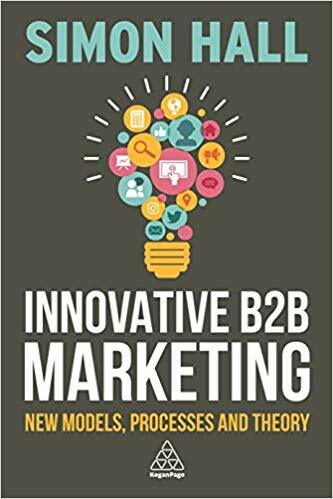 In his former career, he served as UK Chief Marketing Officer for Dell as well as many senior European roles at Acer, Microsoft and Toshiba; he is also author of the book ‘Innovative B2B Marketing’. In 2016 Simon founded NextGen Marketing Solutions, with the aim to help companies of all sizes capitalize on the latest marketing techniques. He is passionate about pioneering new and exciting initiatives and sharing his knowledge and experience with the current and next generation of marketers, and you can find him regularly speaking at conferences and events, as well as on the board of several associations. Surely, no one is going to buy your solution via facebook or after searching for you on Linkedin, so how important is digital marketing within the marketing mix? In this lesson; Simon Hall discusses why it's absolutely essential for any B2B marketer to embrace digital. Why is marketing products ineffective? The current perception in marketing circles is that ‘marketing products’ today is not as effective as in previous years. 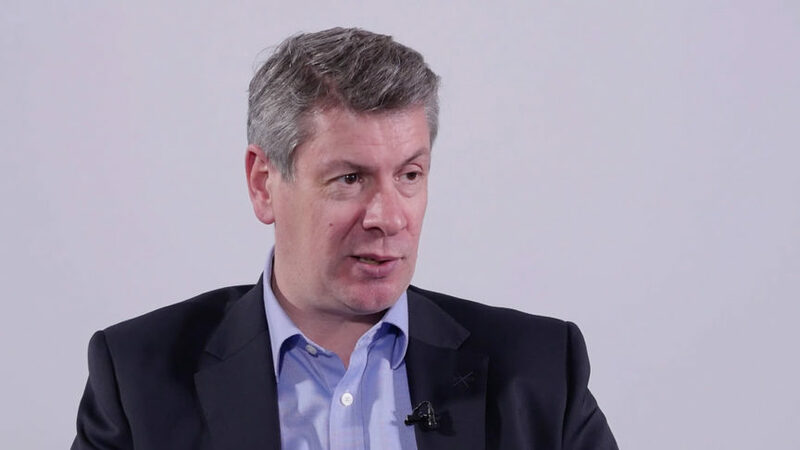 In this lesson; Simon Hall, discusses the reasons for the move away from ‘marketing products’ to ‘marketing solutions’. How do I market to the C-suite? How do I retain customers? One of the important aspects of marketing for any business is to retain the customers they have In this lesson; Simon Hall discusses what drives retention from a marketing perspective. Is event marketing important for B2B? Simon Hall explains that a properly implemented event allows a company to be in front of the customer and answer questions in an authentic way.